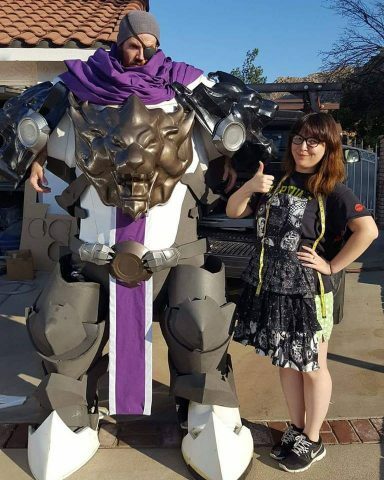 Giant Reinhardt Overwatch Costume Wins a TwitchCon « Adafruit Industries – Makers, hackers, artists, designers and engineers! TwitchCon’s recent cosplay contest found a grand prize winner in Hoku Props. 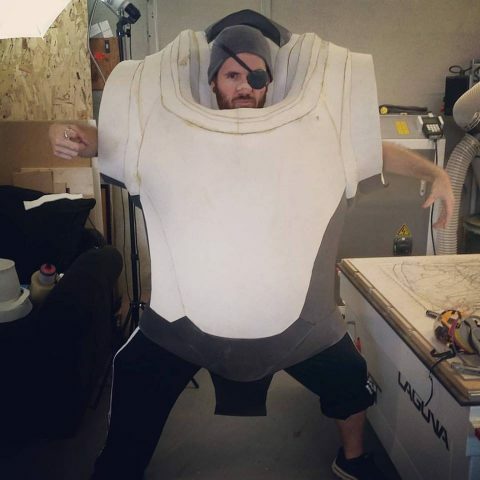 They put together a gigantic Reinhardt cosplay from Overwatch. And I mean gigantic. They stayed true to the massive armor seen in the Overwatch game and maintained the scale to an impressive degree. Hulking is the best word to use. You can see what I mean in the above video where Hoku Props accepts his award. I can’t even imagine transporting pieces of the armor, let alone constructing it. He’s been working on the project since at least July and it’s been quite the process. You can see some pics showing off the unfinished armor below and more are in this Facebook album.